Skits are provided each day for both an opening AND a closing Worship Rally. If you only do one or the other, the skits can be easily merged together. The skits feature two characters, Luna and Cosmo, who are amateur astronomers and friends. They introduce/review the daily Bible truth and facilitate interaction between kids and the Worship Rally leader(s). 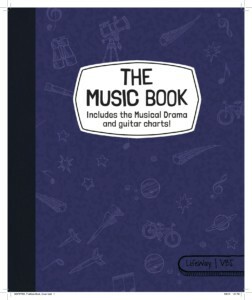 The Music Book features a 6-part drama that can be used as a musical stage production or as independent scenes each day. Written for a cast of 5—Owen, Leslie, Max, Crystal, and Theo—the story line involves 2 sets of best friends (boys vs. girls) who unwittingly use the same clubhouse as their home base. When all four kids show up at the clubhouse on the same day, a new kid named Theo helps them learn to share the space and brings them together as Galactic Starveyors. Hi! I was wondering if there will be a black and white graphic of the main galactic starveyors logo this year? I see there is one in Spanish but not English. I didn’t find one on the clipart cd either. It has been very useful in the past for our t-shirts as well as other reproducibles since color is so expensive to copy. Yes! 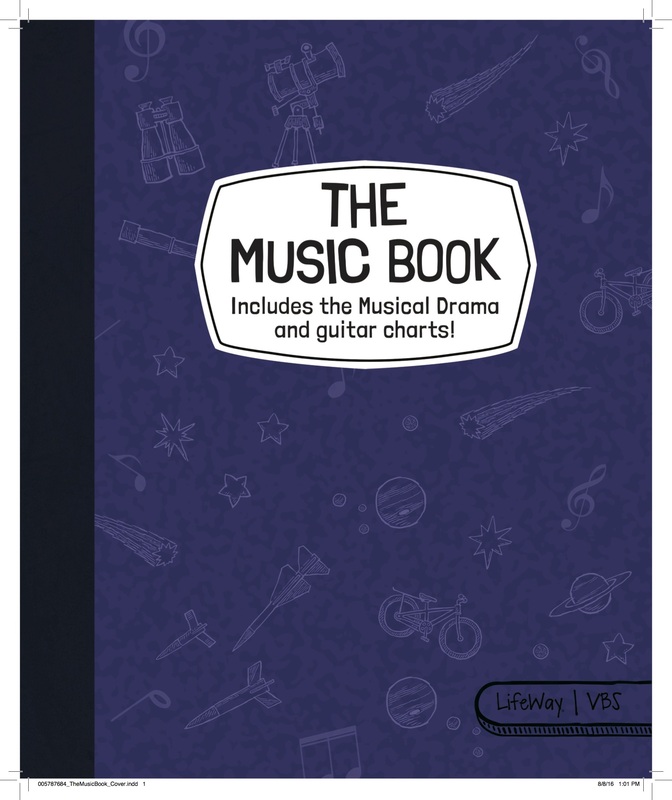 It is available now on the website at https://vbs.lifeway.com/downloads/ under the “Clip Art” tab. Scroll all the way down to the bottom. I have written a skit for vbs every year for the past 30 years. I have already written one for each night for this year. I will be glad to share them with anyone that would like to use it. I only ask that you give me feedback of how effective it was. Joyce! We used your skits last year, and they went over so well! I have been searching to try and see if anyone wrote any this year! Would you mind to send them my way? jared@salecreekfirstbaptist.org! Thank you!!! Hello! My church is using this VBS this year. Would you please email to me if you still have it? blramir2@gmail.com. Thank you very much!! I have been directing VBS for years but this is our first year with LifeWay. I noticed a “drama” video. Is this something that will be shown and carried out each day or is there only one of these to introduce VBS? It is a 5-part on-going story that is designed to be shown in Worship Rally each day of VBS. Is thwre a skit for vbs sunday this year? Im not finding one and ww would love to have Cosmo and Luna give the cingregation a little overview! 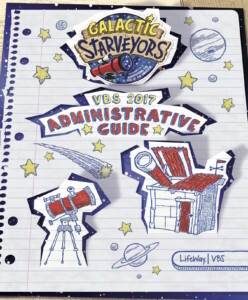 Check the Administrative Guide & CD-ROM. The skits there are designed for use in worship. They don’t feature Cosmo and Luna, but you could easily rename the characters to fit. Joyce, you are an answer to prayer! We are a small church with not a lot of resources and I would love a copy of your skits to use. Thank you so much! Could you please send the scripts to us as well? We would greatly appreciate it!! I guess I confused though. I thought this pack CAME with written out scripts??? Taryn, you are not confused. The LifeWay materials come with scripts all ready for you to use! 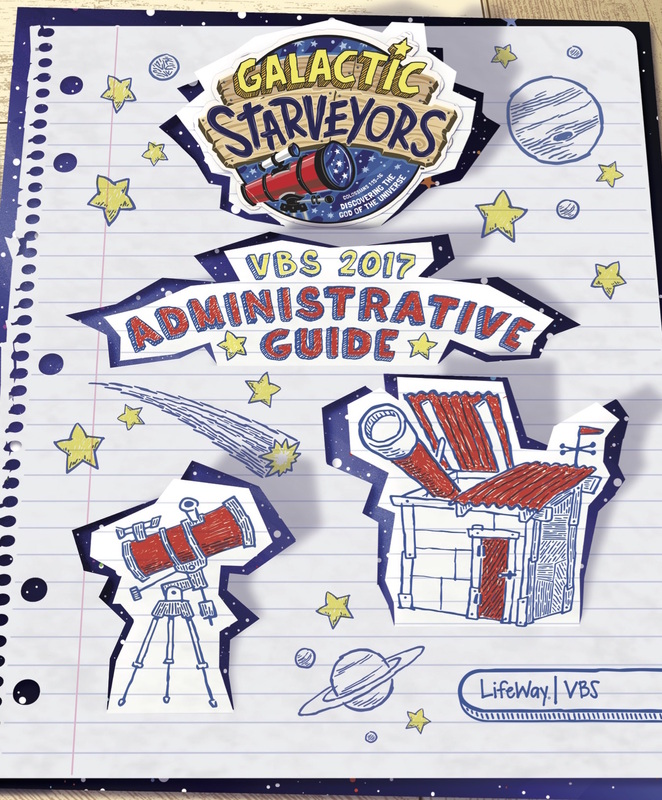 There are many sources within the curriculum for scripts that not only perfectly match the VBS theme and biblical content, but have also been vetted by experts within AND outside of LifeWay. is there an immediate download for puppet or skits? Sorry, the skits are only available in the printed materials. 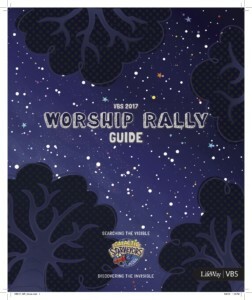 Is there anywhere to buy the Lifeway VBS Skits already typed out to use for our stage display screen? Have you already purchased the Worship Rally Guide or Worship Rally Pack?